The IFCKC02 from Centrotherm is a Chimney Component Kit for 2” Innoflue Flex Pipe. 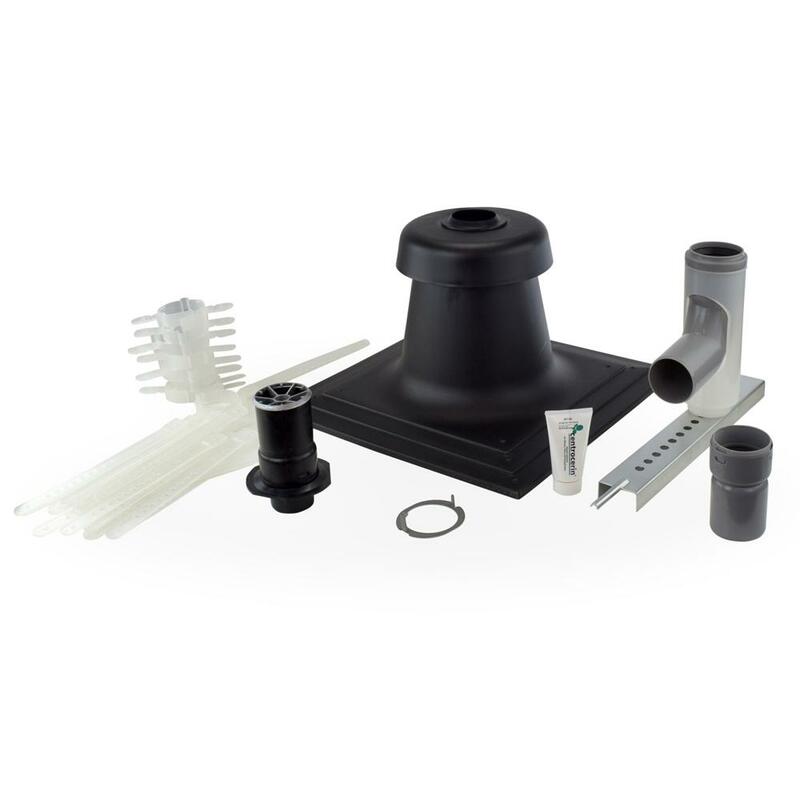 This kit includes all major components required to run 2" Innoflue flex pipe from base to top of the chimney and includes: base support (ISBS0287), (2) connector rings (IANS02), 50ml Centrocerin lubricant (IACE50), (8) chimney spacers (IASP02), chimney cover (ISCP02), flex end pipe (IFEP02) and SW x Flex coupler (IFSFC02). Consider purchasing together with 2" Flex pipe (IFVL02). When measuring Flex pipe length, always add at least 2ft above chimney top. Spacers provided are sufficient for up to 48ft vent length - purchase more for longer lengths (1 for every extra 5-6ft). When using base support elbow in this kit, max Flex pipe run shall not exceed 98ft total. See IFCKC02 manual and page 7 of the main manual for detailed installation instructions.